Yesterday Dazed Digital released Corbett's latest short documentary, and the latest addition to the Tribute series from our very good friends over at MAINLINE. 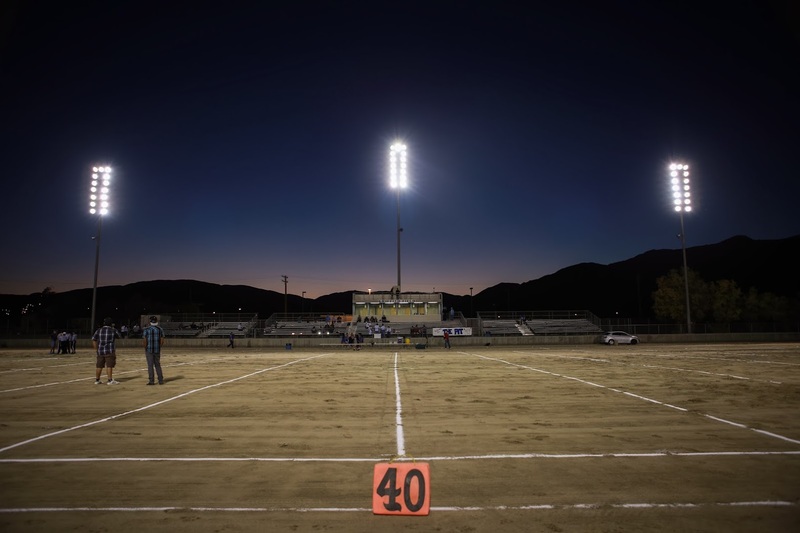 Corbett trekked out to to Trona for his tribute - home of the only dirt football field in America and the Trona Tornadoes. We met the football team (an entire group of great kids) outside of practice and Angelo immediately stood out with wisdom beyond his years. 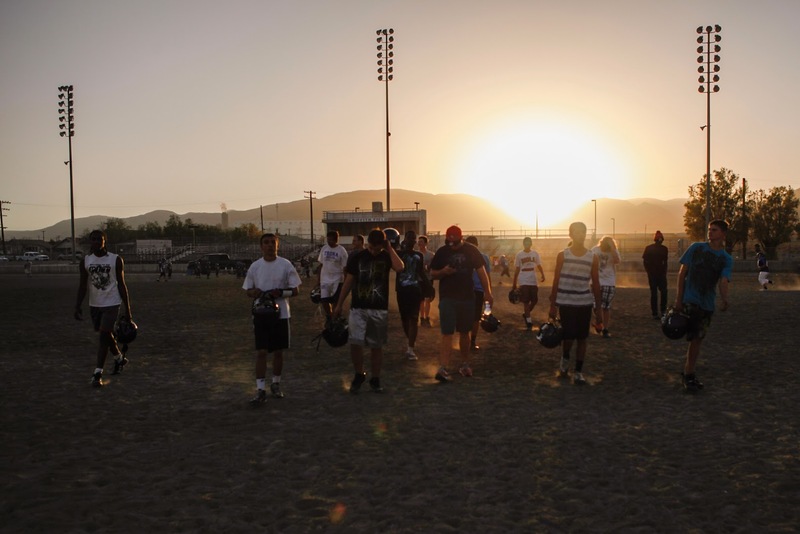 We were lucky enough to catch the sunset as the team walked in from practice before their big game the following day. The town sits in the shadow of an enormous borax plant that drives the local economy, and while the area is mineral rich the irony is that absolutely zero grass will grow in the town. Every Friday the dirt football field is packed into hard earth and lined with chalk in preparation for the evening's high school game. 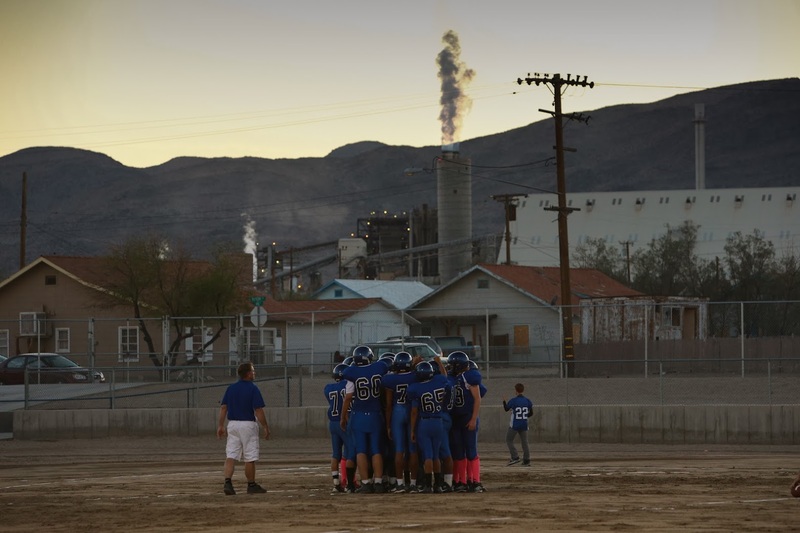 Each player from Trona loves the dirt field, really, its a source of pride for the whole town. Each player that visits from a nearby city hates it. Its a hard fall and a hard hit each time on hard earth. A home field advantage unlike any other. The following Sunday Angelo gave us a tour of the town. 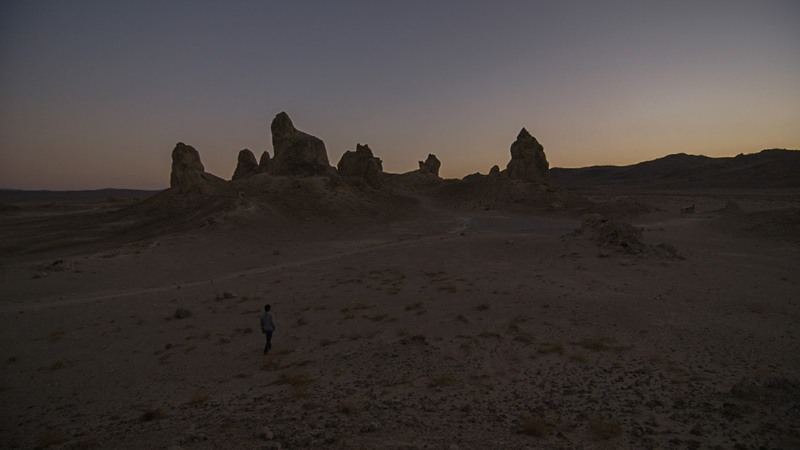 The amazing thing about Trona is that while it looks like a desert town with martian landscape that you typically assume to be filled with ne'er do wells, its actually an amazing community of people who have elected a slower pace and a straightforward lifestyle. When Angelo began to tell us his story, we were completely in awe. His foresight and depth are unparalleled in most people his age, as well as in most people in general. He told us how he'd chosen to move back to Trona to live with his grandparents (who, by the way, babysat the football coach when he was a young boy) in order to stay out of trouble, and how sometimes its a good thing to be bored. As we walked through the Pinnacles with him and the sun set we had to agree. After the video went live we noticed a Facebook post from Angelo's mom. She explained how the video really affected her, how it sparked a conversation within her family, and how proud she is of her children. As filmmakers, to know this piece holds meaning for the subject, thats all we could ever ask for. We're so very proud of them, too.